When you stay at the Best Western Westminster, there are several nearby venues to host your group meeting or event. 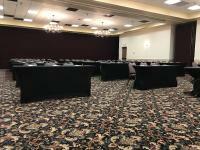 We’re the closest hotel to the Westminster Conference and Catering Center, in fact we’re only footsteps away, so if you’re meeting at the Westminster Conference Center, staying at the Best Western Westminster is a natural choice. With 10 private event rooms and over 6,000 square feet of flexible meeting space, they offer the ideal accommodations for groups, weddings and celebrations from to 300 guests. Regardless of your group’s size, they have the right venue for you. From intimate meeting suites to the elegance of our Grand Ballroom, you can rest assured that your gathering will be held in style. 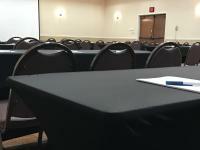 Click HERE to visit their website and inquire about your next meeting or event. 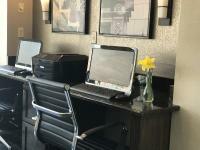 Select the Best Western Westminster for all your future gatherings and events. 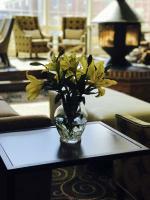 Our professional staff will take good care of you, your event, your business and all of your group hospitality needs. We’re the closest hotel to the McDaniel College, so if you’re meeting at the “college”, staying at the Best Western Westminster is like staying with family. For larger gatherings, we suggest the Carroll County Agriculture Center, offering over 20 acres of indoor facilities, outdoor areas, meeting facilities, function and banquet rooms with state-of-the-art technology. The Best Western Westminster is located 4 miles from the Agricultural Center and the Shipley Arena. The Westminster Riding Club is located in historic Westminster and conveniently located to the Best Western Westminster. The beautifully landscaped grounds and historic setting provide a fantastic backdrop for you and your guests.